With its ruling in the case of South Dakota v. Wayfair Inc. on June 21, 2018, the U.S. Supreme Court has overturned its established case-law requiring a business to have a physical presence in a state before the state could impose its sales tax authority. States may now implement new economic sales tax nexus provisions, requiring a remote seller with no physical presence in the state to collect and remit sales tax if it exceeds certain economic nexus standards. Some states had already adopted economic sales tax nexus standards prior to the Supreme Court Ruling but had not yet enforced them. 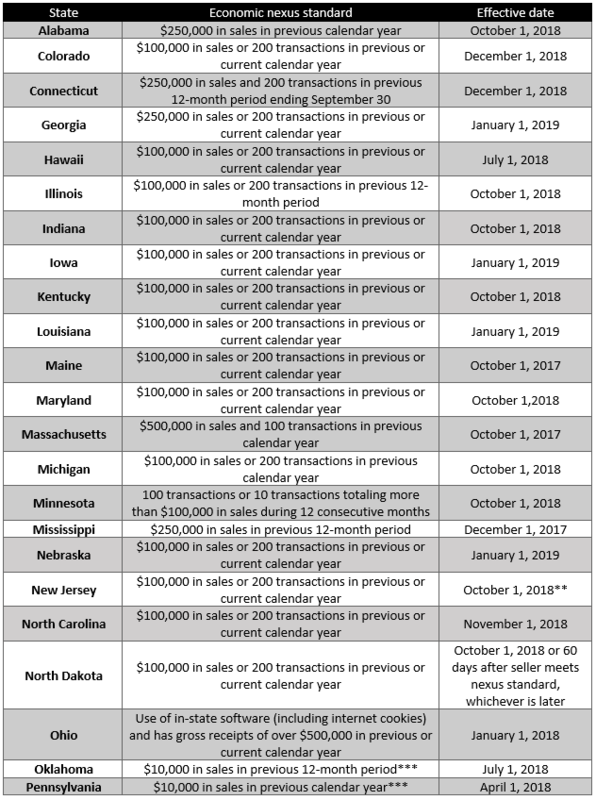 Below is a general overview of the states that currently have economic sales tax nexus standards. Others may follow in the future. * Update on effective/enforcement date still to be provided by Department of Revenue or legislation currently under injunction. ** Prospective date, Governor’s signature still required. *** Sellers can elect to either collect and remit sales tax or comply with notice and reporting requirements. Which points should be taken into consideration and where does your business stand? Certain aspects of this new legislation are still unclear and additional guidance will be published by the state tax authorities in the near future. States may, for example, have a different interpretation for what is considered a “transaction”. In addition, we are still waiting for a response from larger states (California, New York, Texas, Florida) that will most likely also adopt economic nexus legislation in the very near future. 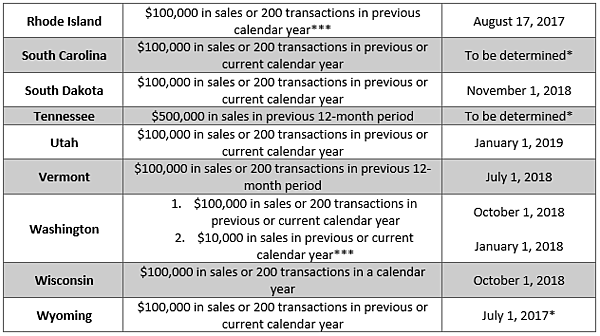 > Are you able to track both your physical (employee, property, professional or commercial activity, …) as well as your economic presence (sales, number of transactions, …) by state? 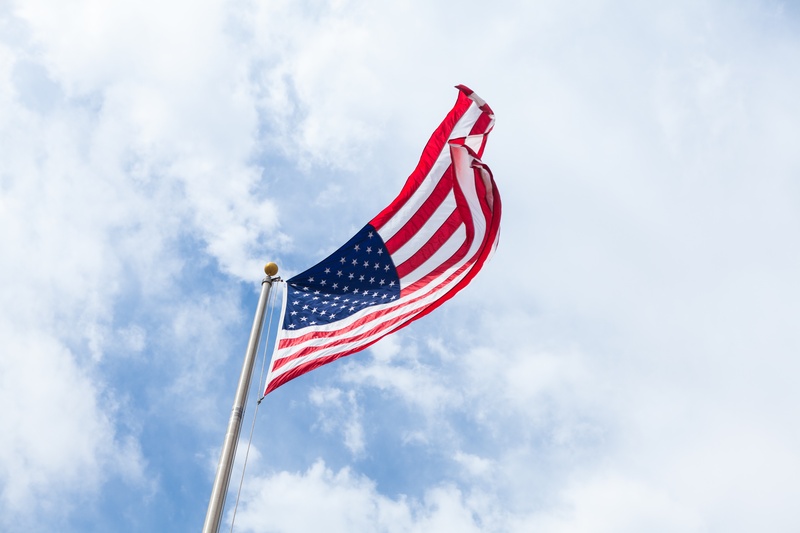 > Do you know if your products and/or services are taxable in the states where your customers are located? For example, not all states apply sales tax on software-as-a-service. > Do you know whether your clients are distributors or end consumers? You may consider systematically requesting your customers to provide a resale or other exemption certificate. > With respect to online sellers: is your e-commerce platform able to automatically calculate sales tax and are the settings still up-to-date? > Is your business prepared to respond to customers once you start charging sales tax where this was not previously required?